Congress released its manifesto for the Shimla Municipal Corporation poll. 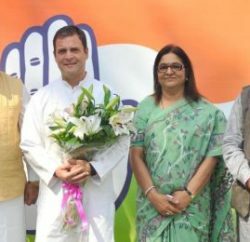 PCC chief Kaul Singh Thakur, Leader of the Opposition Vidya Stokes, general secretary Kuldeep Singh Rathore and Mayor Madhu Sood were present on the occasion. 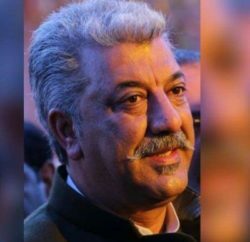 In its manifesto, Congress has promised a high-level probe into the inordinate delay in the approval of detailed project reports by the BJP government under the Jawaharlal Nehru National Urban Renewal Mission (JNNURM), which deprived the Shimla of funds amounting to over Rs 4,000 crore. In its manifesto congress blamed the BJP regime for allegedly failing to take action on the City Development Plan, prepared in 2007 by the previous Congress regime, under which about 50 schemes were identified and proposed under the JNNURM. However, the BJP government did not take further action on it and as a result most of the schemes for solving the problems of residents could not see the light of the day. Of these, 27 schemes were to be implemented by various government departments. Another 10 schemes were to be jointly implemented by the corporation and departments, but these could not be taken up for want of approval. While 13 schemes were under implementation, 30 schemes could not be implemented at all as the government did not grant the necessary approval. Work on four schemes, being implemented by government departments, was progressing at a snail’s pace. The indifferent attitude of the government denied the city central assistance amounting to over Rs 2,000 crore. It even diverted Rs 13 crore meant to provide housing for the urban poor to other areas, but the high court stayed the decision. 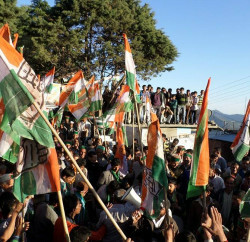 Terming the BJP as the biggest threat to the fragile environment of the hill station, the manifesto pointed out that the “disastrous policies” of the government led to illegal felling of trees to benefit realtors in green areas like Bemloe. Not only that, the land mafia also eyed the thickly forested Annandale area. The BJP regime was anxious to bring the historical ground under the fiefdom of cricket to facilitate activities of the land mafia. It also referred to the Bantony estate and pointed out that the Congress government had favoured the establishment of a state museum at the place, but the present regime agreed to vacate the complex and handed it over for commercial purposes. The land mafia and builders had been given a free hand to convert the lush green hills into a concrete jungle. Terming the retention policy brought out on the eve of the poll as a farce, the Congress alleged that the government took no step in this direction for the four years and suddenly notified a policy to mislead the electorate. The document promised that on coming to power in the state, the government would expedite the implementation of the JNNURM and make efforts to complete projects within the 2013-16 period by spending an amount of Rs 4,000 crore.